The Multi-Point Electronic Fuel Injection (EFI) system is an electronically controlled system which combines electronic sequential fuel injection and electronic spark advance systems. Main sub-systems consist of: air induction, fuel delivery, fuel control, emission control, Electronic Control Unit (ECU), data sensors and switches. Air induction system includes air cleaner, throttle body, Throttle Position Sensor (TPS) and the Idle Speed Stepper (ISS) motor. Fuel delivery system provides fuel from fuel pump to the fuel control system. Fuel system is composed of an in-tank electric fuel pump, fuel filter and return line. Power is provided to operate fuel pump through a fuel pump relay located on right inner fender panel. Fuel control system handles actual fuel delivery into the engine. Fuel pressure regulator maintains a constant fuel pressure of 31-39 psi (2.1-2.7 kg/cm). In addition to the regulator, fuel system consists of the fuel rail and 4 fuel injectors. On MPI engine, ECU controls EGR/EVAP solenoid operation. The ECU is a digital microprocessor computer. ECU receives input signals from various switches and sensors. ECU then computes fuel injector pulse width ("on" time), spark advance, ignition module dwell, idle speed, canister purge cycles, EGR flow and feedback control from this information. Air is drawn into combustion chamber through air cleaner and intake manifold. Amount of air entering engine is controlled by position of throttle body valve. Throttle body houses throttle position sensor (TPS) and idle speed solenoid (ISS) motor. TPS is an electrical resistor which is connected to throttle valve. TPS transmits a signal to ECU in relation to throttle valve angle. This signal is used in calculations to determine injector pulse width to provide adequate air/fuel mixture. ECU controls idle speed by providing appropriate voltage outputs to move ISS motor pin inward or outward to maintain a predetermined idle speed. ECU continuously monitors TPS and ISS motor and issues change commands to injectors to increase or decrease amount of fuel injected. Power to fuel pump relay is supplied from ignition switch when in "ON" or "START" position, at which time the ECU supplies a ground for fuel pump relay. When relay contacts are closed, power is applied to fuel pump. 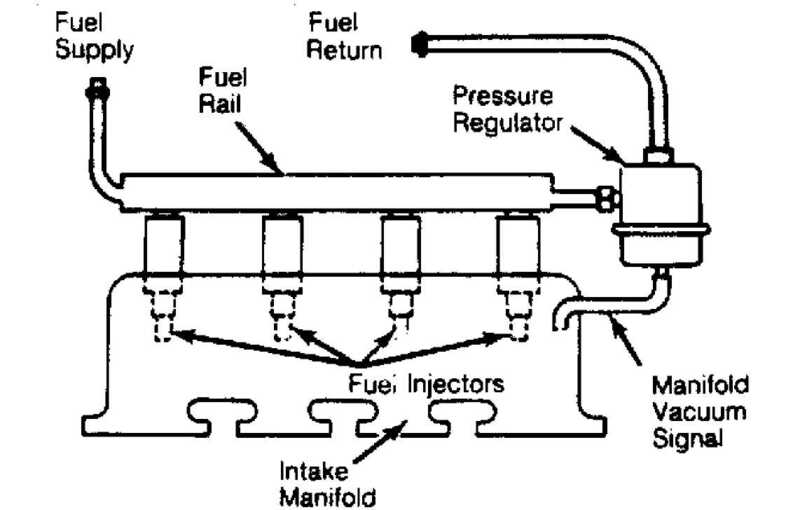 Fuel is drawn through one end of a roller-type electric fuel pump, compressed and forced out opposite end. Pump capacity is greater than maximum engine consumption so that pressure in fuel system is always maintained. Fuel control system handles actual delivery of fuel to engine. See Fig. 1. Fuel from fuel pump enters fuel rail, injectors and pressure regulator. Based upon a manifold vacuum signal, pressure regulator maintains a constant fuel pressure in fuel system of approximately 31-39 psi (2.1-2.7 kg/cm) by allowing excess fuel to return to fuel tank. Fuel injectors are electrically operated solenoid valves which are energized by the ECU. The ECU determines injector pulse width ("on" time) based upon input from the various sensors. Fig. 1: Fuel Control Components Courtesy of Chrysler Motors. ECU controls EGR valve and fuel evaporative operation. By energizing the EGR/EVAP solenoid, vacuum is shut off, making this system non-operative. When engine reaches normal operating temperatures, ECU de-energizes solenoid. 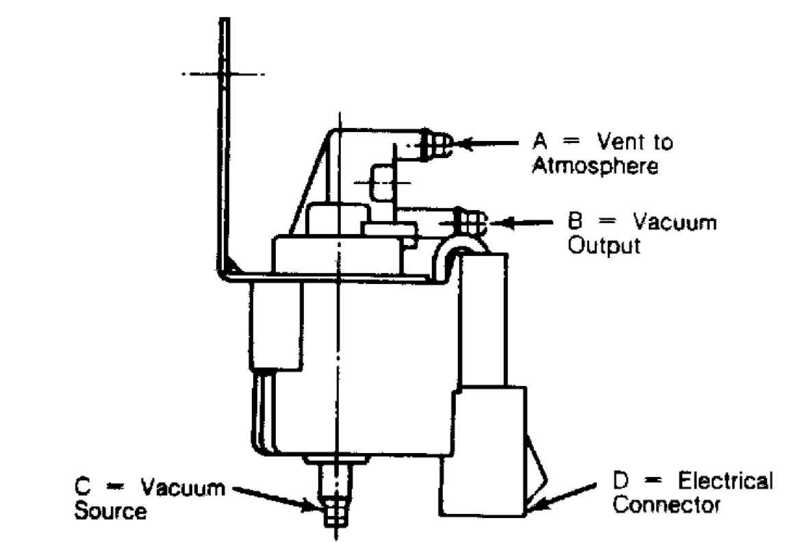 When de-energized, solenoid allows vacuum to flow to EGR valve. ECU will energize solenoid whenever EGR action is undesirable, during idle, cold engine operation, wide open throttle and rapid acceleration or deceleration. ECU is a digital microprocessor computer. Data sensors provide the ECU with engine operating information in varying electrical signals. ECU calculates this information and corrects air/fuel ratio, ignition timing, and emission control as needed to maintain efficient engine operation. Other ECU output signals control upshift indicator light (manual transmission only), ignition module dwell and A/C clutch operation. from intake manifold to sensor. Oxygen (O2) sensor is mounted in exhaust manifold where it is exposed to exhaust gas flow. Its function is to monitor oxygen content of exhaust gases and to supply ECU with a voltage signal directly proportional to this content. If oxygen content of exhaust gases is high (lean air/fuel mixture), voltage signal to ECU is low. As oxygen content decreases (mixture becomes richer), signal voltage increases. In this way, ECU is kept constantly informed of air/fuel ratio. ECU can then alter fuel injector "on" time, in response to these signals, to obtain best air/fuel ratio of 14.7:1 under any given operating conditions. O2 sensor is equipped with a heating element that keeps sensor at proper operating temperatures. Maintaining correct sensor temperatures at all times guarantees a more accurate signal to ECU. By using an O2 heater, fuel control system may also enter "closed loop" operating mode sooner and maintain this mode, even during periods of extended idle. There are 2 temperature sensors used on this system. Manifold Air Temperature (MAT) sensor, mounted in intake manifold, measures temperature of incoming air/fuel mixture and Coolant Temperature Sensor (CTS), located on left side of cylinder block just below the exhaust manifold, measures temperature of engine coolant. Information provided by these 2 sensors to ECU allows ECU to demand slightly richer air/fuel mixtures and higher idle speeds during cold engine operation. mounted on throttle body and senses angle of throttle blade opening. A voltage signal of up to 5 volts at wide open throttle is produced by TPS. Voltage varies with throttle angle changes. This signal is transmitted to ECU where it is used to adjust air/fuel ratio during acceleration, deceleration, idle, and wide open throttle conditions. A dual TPS is used on models with automatic transmissions. This dual TPS not only provides ECU with input voltages but also supplies automatic transmission control unit with input signals relative to throttle position. Knock sensor (detonation sensor) is located on lower left side of cylinder block just above oil pan. Knock sensor picks up detonation vibration from engine and converts it to an electrical signal for use by ECU. ECU uses this information to determine when a change in ignition timing is required. Knock sensor allows for engine operation on either "premium" unleaded or "regular" unleaded fuel. When knock occurs, ECU retards ignition timing in one or more cylinders until detonation is eliminated. Speed sensor is secured by special shouldered bolts to flywheel/drive plate housing. Speed sensor is nonadjustable and preset at factory. Speed sensor senses TDC and engine speed by detecting flywheel teeth as they pass pick-up coil during engine operation. See Fig. 2. Flywheel has a large trigger tooth and notch located 12 small teeth before each TDC position. When a small tooth and notch pass the magnetic core in sensor, concentration and collapse of the magnetic field created induces a small voltage spike into sensor pick-up coil windings. These small voltage spikes are sent to ECU, allowing ECU to count the teeth as they pass sensor. When a large tooth and notch pass magnetic core in sensor, increased concentration and collapse of the magnetic field induces a higher voltage spike than smaller teeth. Higher spike indicates to ECU that a piston will soon be at TDC position, 12 teeth later. Ignition timing for cylinder is either advanced or retarded by ECU based upon "sensor input". Fig. 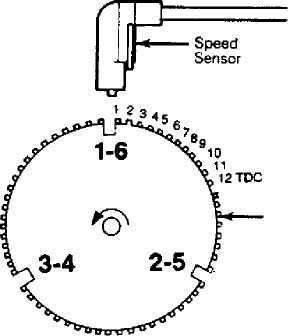 2: Speed Sensor Operation Courtesy of Chrysler Motors. include Park/Neutral switch (automatic transmission only), air conditioning clutch, and Sync Pulse switch. When A/C or Park/Neutral switches supply ECU with an "on" signal, module signals ISS motor to change idle speed to a specific RPM. With A/C on and throttle blade above a specific angle, ECU de-energizes A/C relay, preventing A/C clutch from engaging until throttle blade angle is reduced. 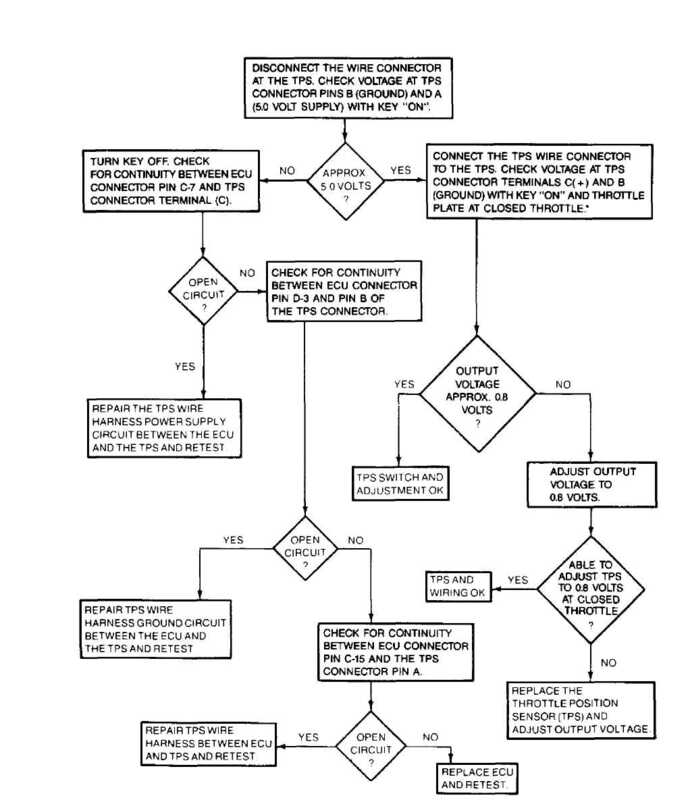 Sync pulse switch, located within distributor, generates a signal to ECU, helping to properly synchronize sequential fuel injection opening with intake valve opening. NOTE: Idle speed and air/fuel mixture are controlled by ECU and are non-adjustable. On-car adjustment procedures for other components should not be necessary during normal vehicle operation or maintenance. Adjustments of components should only be required when a faulty component is replaced with a new one. lead to terminal "A" (M/T and A/T) of sensor connector. 2) Move and close throttle plate completely (M/T and A/T). voltage at terminals "B" and "A" (M/T), or terminals "A" and "D"
(A/T) should be 5 volts. Maintain throttle plate in closed position (M/T and A/T). 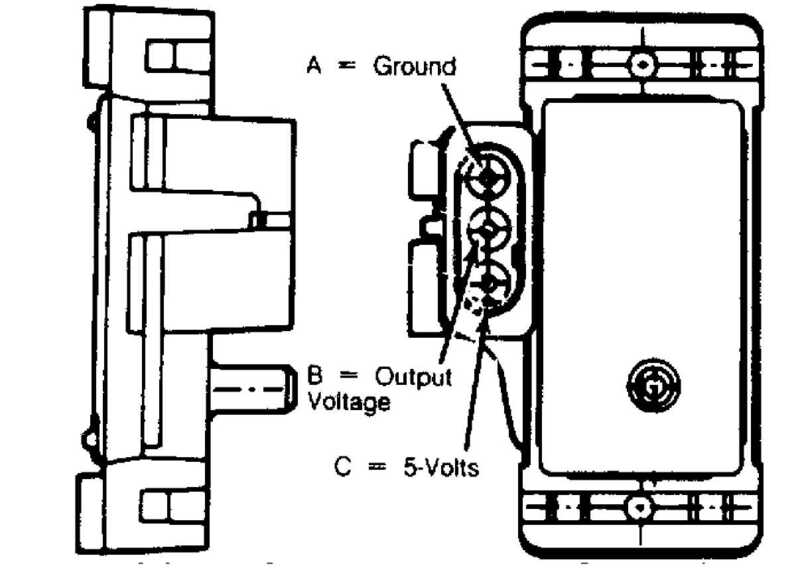 voltage should be .8 volt (M/T), or 4.2 volts (A/T). The following systems and components must be in good condition and operating properly before assuming a fuel injection system malfunction. All support systems and wiring. Battery connections and specific gravity. Electrical connections on components and sensors. All vacuum line, fuel hose and pipe connections. (2.1 kg/cm) 39 psi (2.6 regulator. Check fuel pump flow rate. A good fuel pump will deliver liter of fuel per minute with fuel return line pinched pump does not pump adequately, inspect fuel system for a filter or filter sock. Fig. 3: Fuel System Pressure Test Components Courtesy of Chrysler Motors. other end of hose into a container of at least one liter or more capacity. 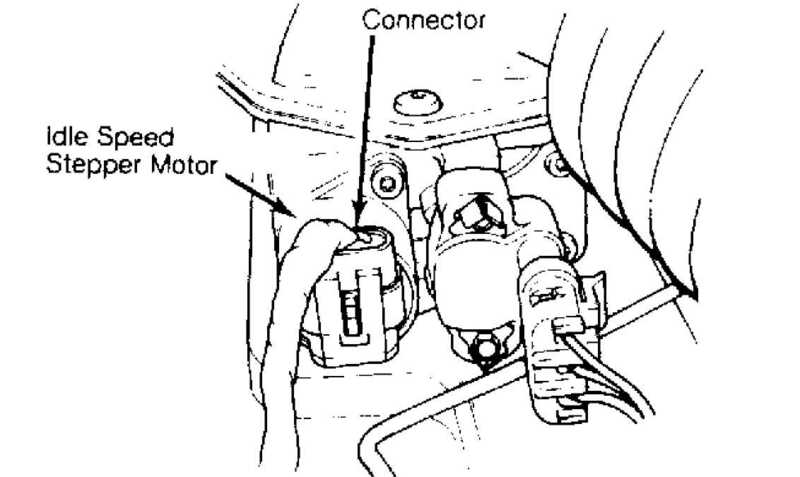 5) Run fuel pump by installing a jumper wire into diagnostic connector terminals D1-5 and D1-6. Be sure to pinch off fuel return line or most of fuel will be returned to fuel tank. EGR solenoid. See Fig. 4. Remove vacuum connector from "A" and "B". Connect a vacuum gauge to "B". Start and idle engine. There should be no vacuum at "B". Fig. 4: EGR Solenoid Test Points Courtesy of Chrysler Motors. Fig. 5. Output voltage should be 4 to 5 volts. connector terminal "C" with ignition on. and terminal "A" of sensor connector. circuit, inspect for a defective sensor ground connection, located on right side of cylinder block. If ground connection is good, ECU may need to be replaced. Fig. 5: MAP Sensor Test Points Courtesy of Chrysler Motors. Disconnect O2 sensor connector. Connect an ohmmeter to terminals "A" and "B" only (marked on the connector) of O2 sensor connector. Resistance should be between 5 and 7 ohms. Replace sensor if ohmmeter indicates an infinity reading. resistance of sensor with a high impedance digital ohmmeter. 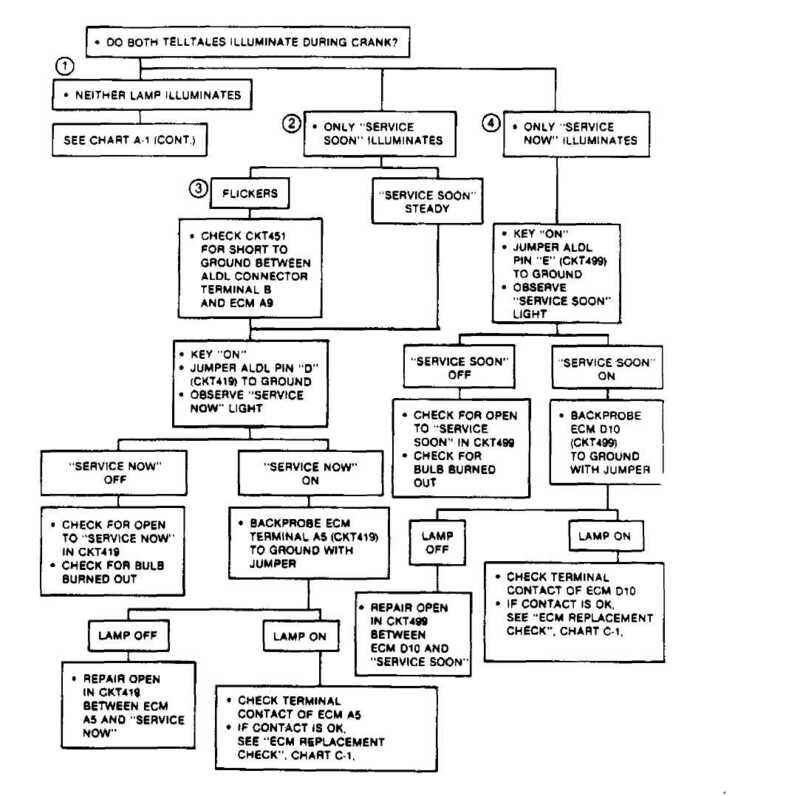 See THROTTLE POSITION SENSOR TEST PROCEDURE chart in this article. block next to knock sensor and observe knock sensor value on tester. connection is good, replace knock sensor. Disconnect speed sensor connector from ignition control module. Place an ohmmeter between terminals "A" and "B". (Marked on connector) Reading should be 125-275 ohms with engine hot. Replace sensor if readings are not within specifications. throttle body. Connect Exerciser Tool (Part No. 8980 002 646) into ISS motor. See Fig. 6.
will illuminate when properly connected. Start engine. NOTE: When switch on exerciser tool is in "High" or "Low"
position, light on exerciser tool will flash indicating voltage pulses are being sent to ISS motor. Fig. 6: ISS Motor Test Connector Courtesy of Chrysler Motors. exerciser tool, ISS motor is functioning properly. remove ISS motor from throttle body. With ignition off, switch exerciser tool between "High"
should move in and out. If pintle does not move, replace ISS motor. 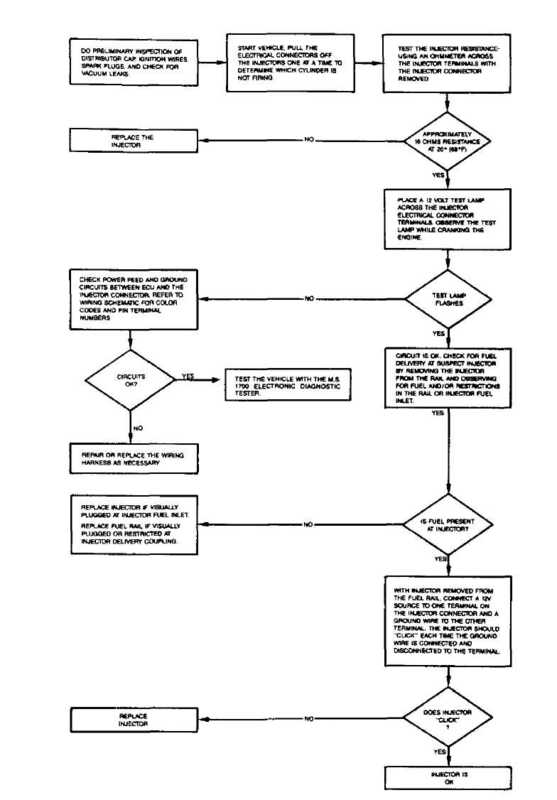 See FUEL INJECTOR TEST PROCEDURE chart in this article. Drain cooling system. Remove air cleaner assembly. Disconnect CTS wire connector. Remove CTS from engine block. Install replacement CTS and connect CTS wire connector. Install air cleaner assembly. Fill cooling system. connector. Remove O2 sensor from exhaust manifold. Install O2 sensor and tighten to 30 ft. lbs. (41 N.m). Connect O2 sensor wire connector and lower vehicle. Raise and support vehicle. Disconnect knock sensor wire connector. Remove knock sensor from cylinder block. Install knock sensor and connect knock sensor wire connector. Lower vehicle. Disconnect speed sensor wire connector. Remove 2 speed sensor retaining bolts at transmission housing. Install speed sensor and connect speed sensor wire connector. disconnect wiring to relay. Remove relay retaining screws and remove relay from inner fender panel. Install replacement relay and connect relay wires. Connect negative battery cable. Test relay operation. Disconnect wire connector from MAT sensor. Remove MAT sensor from intake manifold. To install, reverse removal procedure. Disconnect wire connector, vacuum hose, and retaining nuts from MAP sensor. Remove sensor from firewall. To install, reverse removal procedure. Disconnect fuel lines from fuel rail assembly. Disconnect injector wire harness connector. Remove fuel rail retaining bolts. Remove vacuum hose from fuel pressure regulator valve. Remove fuel injector retaining clips and remove fuel injectors. See Fig. 7. On models with (A/T), it may be necessary to remove throttle pressure cable and bracket to remove fuel rail assembly. O-rings must be replaced before fuel lines are reassembled. Install fuel injectors into fuel rail assembly and install retaining clips. Position fuel rail onto manifold while lining up injectors with holes in intake manifold. Secure injector retaining bolts. Connect injector wire connectors to proper injectors. Install fuel lines into fuel rail assembly. Connect vacuum hose to pressure regulator. Install throttle pressure bracket and cable (A/T). Fig. 7: Fuel Rail Assembly Courtesy of Chrysler Motors. Remove injector fuel rail assembly. Remove 2 pressure regulator retaining screws. Remove regulator from fuel rail. To install, reverse removal procedure. Adjust regulator after installation. 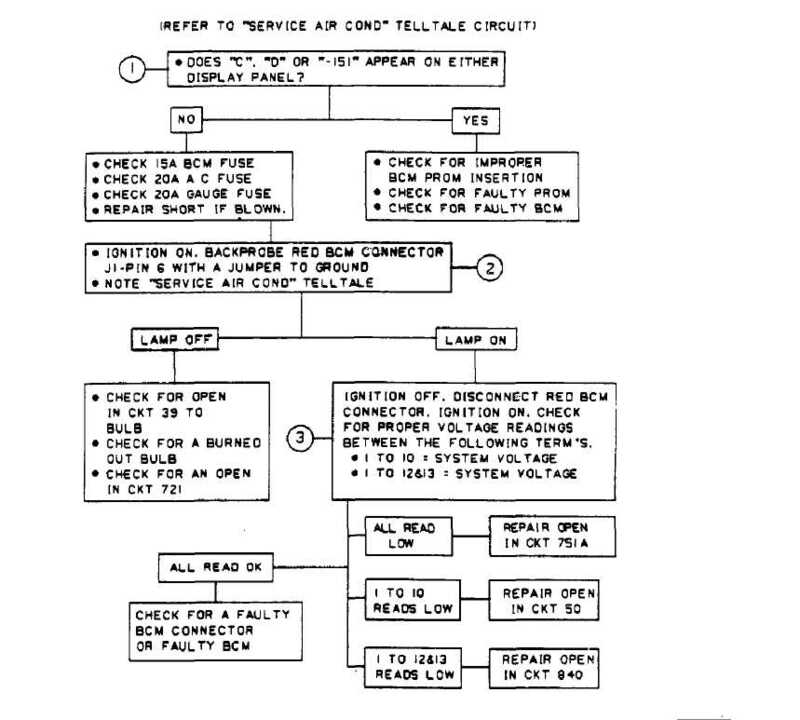 1) Disconnect ISS motor connector. Remove ISS motor retaining screws and ISS motor. To install, reverse removal procedure. No idle speed adjustment is necessary. Idle speed is controlled by the Electronic Control Unit (ECU). Disconnect TPS wire connector. Bend retaining bolts lock tabs and remove retaining bolts. Remove TPS from throttle plate assembly. To install, reverse removal procedure. Adjust TPS after installation. See ADJUSTMENTS in this article. Disconnect vacuum hose from EGR valve. Remove bolts which hold EGR valve to intake manifold. Remove valve and discard gasket. Clean intake manifold gasket mating surface. To install valve, reverse removal procedure. Always use new gasket. See Fig. 8. Disconnect solenoid vacuum hoses. Disconnect solenoid wiring connector. Remove solenoid retaining bolts and solenoid. To install valve, reverse removal procedure. Fig. 9: Multi-Point Injection ECU Connector Courtesy of Chrysler Motors. Fig. 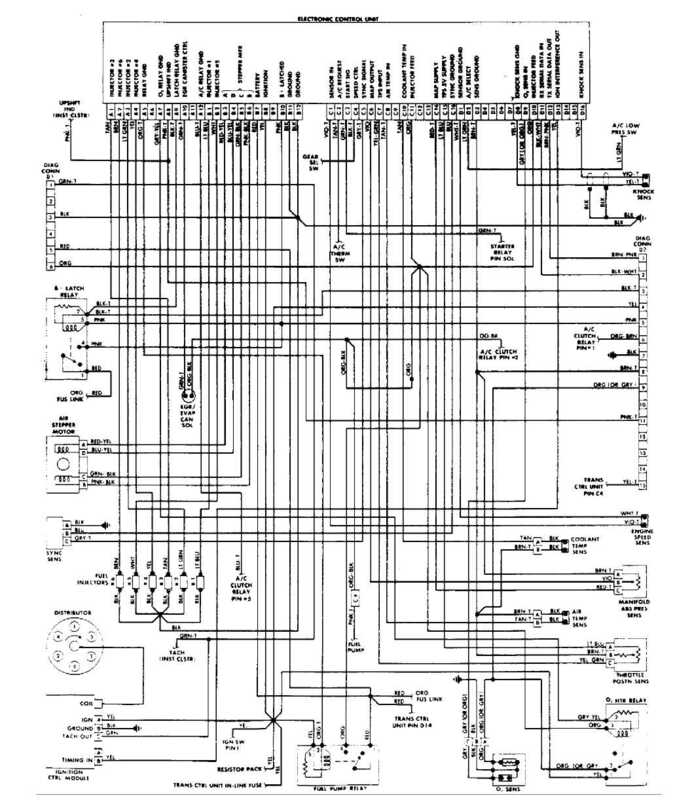 10: Multi-Point Injection Diagnostic Connector Courtesy of Chrysler Motors. ’ DO NOT UNFASTEN THE SENSOR WIRE HARNESS CONNECTOR. INSERT THE VOLTMETER TEST LEADS THROUGH THE BACK OF THE WIRE HARNESS CONNECTOR TO MAKE CONTACT WITH THE SENSOR TERMINALS.